In this article, you can find long and short essay on Noise pollution, its causes and methods to control various types of pollution include such as air pollution, water pollution, air pollution etc., also mentioned beautiful slogans to encourage people to initiate necessary measures to control noise pollution to large extent. Noise Pollution Essay: Noise pollution can affect our communication, our capacity of hearing and our health and behaviour. If a person is exposed to loud noises for long period, there may be significant permanent loss of hearing. Most investigation has shown that loud noise can create anxiety and stress; and in extreme cases, fright. The psychologist tells us that when the noise level goes up, work efficiency goes down. Motor vehicles, loud speakers, factories, truck, buses, scooter and mikes etc. are mainly responsible for the cause of noise pollution mostly in big cities. It is a high time that the Government took some measures to control this increasing menace which is responsible for many sicknesses. Cities in India at present are not fit places for a healthy living. They are the vast display of urban decay. Almost all suffer from big slums. They also suffer from other ills like water pollution, air pollution, filth, dirt, rotten things etc. The most disturbing and distracting is the noise pollution. Many cities in India, no doubt, have lost that peace and calm which are necessary for thinking and working. These noises are of various kinds. The most common noise is of heavy traffic on roads especially trucks, private buses, heavy vehicles which runs on diesel and petrol causes more air and noise pollution in big cities like Delhi, Bangalore, Chennai, Hyderabad, Mumbai and many other. So they make noise by running fast on the roads and sounding their horns. Then people use loud speakers for advertisements and publicity. Another surprising thing is that every-day there are functions, meetings, religious congregations, marriage, several events etc. In these functions and events people shouts, sing, dance, and use loud speakers for merry makings. Then there are factories, small industries, the heavy machines which produce a continuous noise, at the same time hooting of the sirens; they all do not allow peace of mind, proper attention to work and concentration. Read more about Noise Pollution. Source of Noise Pollution: There are various factors that cause noise pollution. It is physiologically proven that noise pollution can affect our body and behaviour. Noise pollution can cause many health issues including hearing loss, sleeping disorder, and hypertension that leads to imbalance our daily life. Following factors are the main cause of noise pollution. Social Events: Loud speakers used in functions, events, for advertisement and publicity. Transportation: Use of old heavy vehicles that runs on petrol and diesel. Household utensil : Extensive use of mixer grinder, electric motors, Television, Gadgets, dryers, geysers, air conditioner and more that produces a lot of noises that directly affect our quality of life. Unawareness among people about the consequence of noise pollution. How to control Noise Pollution? Here are some methods of preventing noise pollution. Noise pollution refers to high sounds that are unpleasant to our ear. It is measured in Decibels (DB), when sound level goes beyond 100 dB, it may cause permanent hear loss and many other problems. It can cause lack of concentration, discomfort, disrupt sleeping etc. that ultimately affects our life style. Major cause of noise pollution is by Small and Large industries. So government should take necessary steps to set up industries away from residential area. Loud speakers and sound amplifier used in event and functions should be restricted in open areas or set a time limit. We should keep volume of our TV and Radio low. We must plant trees in large numbers in our residential areas on both sides of roads. It must be our duty to keep our surrounding neat and clean by planting trees. Turn off Electronic appliances and lower the volume. Use low sounding kitchen appliances. Replace heavy old vehicles/automobiles with new advance technology based automobiles. Use CNG based automobiles to make our environment pollution free. It’s our common effort to make our surrounding pollution free. It’s our duty to create awareness among people and educate them about consequences of noise pollution. Necessary steps to declare ‘no horn zone’ in school, college, hospitals and residential areas that lower the noise pollution to large extent. The main reason for Noise pollution is High pitch sound that directly affects our environment as well as human life. Excessive noise may harm all living creatures include human beings and animals in some way or other. Other sources of noise pollution, mainly from transportation using old out-dated vehicles, home appliances like electric motors, air conditioner, dryers, small and large scale industrial pollution, automobiles pollution, pollution by construction of commercial and residential buildings and many more. We all can do our bit to reduce the noise pollution; it cannot be completely stop it, but we can minimize it by our common effort, to educate people about its consequences. Here we have listed few Slogans on Noise Pollution or beautiful lines that motivate us to steps to minimize noise pollution. I hope that these wonderful slogans will encourage each of us to take care of our environment that ultimately leads to healthy living. Noise can make you deaf, keep the noise down. Turn down your loudspeaker volume. Take necessary steps to reduce the pollution. Be kind for your future generations and start to keep silence. Don’t be animals and don’t spread noise pollution!! 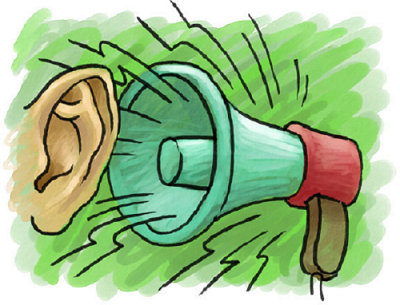 Raise your voice against noise pollution!! Reduce noise pollution before it reduces your capacity of hearing. If You Don’t Kill It , It Will Kill You! Be quiet. You’ll keep your spirits up and the noise down. Always listen to low music to avoid noise pollution.